There are 23,000 people who use or would use Bolivian Sign Language (LSB) if they were in contact with other sign language users (or 0.25% of the population). Modern Bolivian Sign Language traces its start to the 70s involving American missionaries; since then it has overtaken any sign language that had been used previously in Bolivia and has been contextualized by adding local signs. According to a study comparing LSB to various dialects of American Sign Language in a variety of USA states, LSB is a member of the ASL family of languages. It was found that on average, LSB was more closely related to a majority of other ASL dialects than some ASL dialects were to each other. Some signs have been contextualized to Spanish, for example, the ASL word for 'church' has the sign for the letter 'C' tapping the back of the hand. In LSB, this is changed to the letter 'I' instead, since the Spanish word for 'church' is iglesia. Only 1.6% of LSB speakers have been incorporated into educational or work settings. 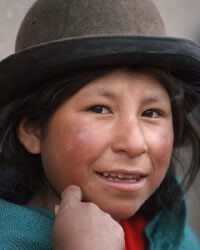 Since Bolivia is one of the poorest and least developed countries in South America, it can be assumed that the Deaf are among these poorest and among the 60% of the population estimated to be below the poverty level. There are a large number of clubs, associations and other groups the Deaf have organized. These are active in all the major cities throughout Bolivia. 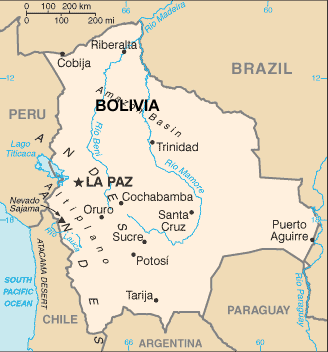 Location in Country: Cochabamba, La Paz, and Santa Cruz departments; El Beni Department, Riberalta municipality.